At Midland Lead Australia, we are proud of providing high quality customer service, premium grade radiation products and lead flashings. Midland Lead Australia has been engaged in many various prestigious commercial and residential building projects across Australia to supply premium grade lead flashings rolls to our valued customers. Company Introduction: First Class Slate a roofing contractor specialises in installing, restoring, and repairing slate roofs across Sydney. Our relationship with First Class Slate began 5 years ago and over the years has grown exponentially. Lead Product used: Machine cast lead rolls in CODE 3, 4, and 5. Midland Lead also supplies copper nails to First Class Slate to meet project specifications carried out at Kincoppal Rose bay School. 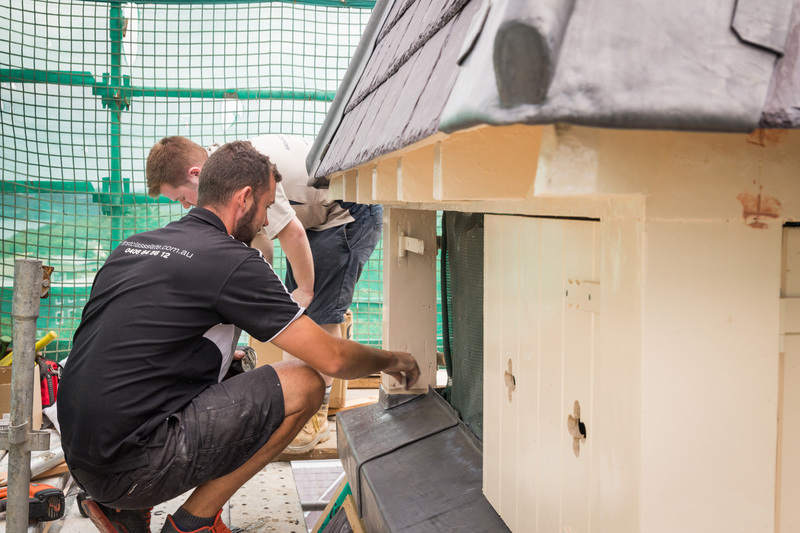 Project details: Midland Lead Australia supplied 50 premium quality lead flashing rolls to First Class Slate to carry out heritage roofing works at Kincoppal Rose bay School in NSW. Each year we supply First Class Slate with more than 2.5 tonnes of premium grade lead rolls.